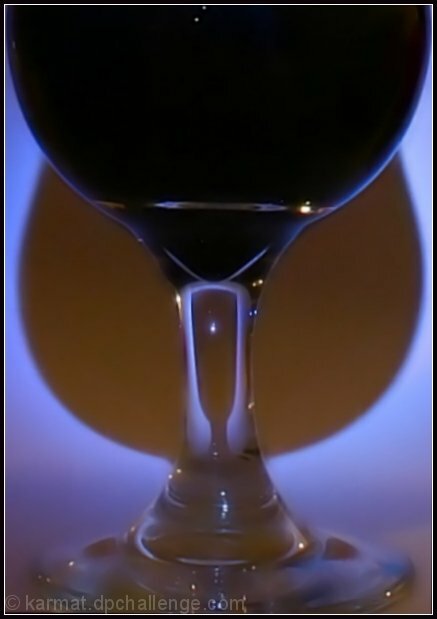 A glass with purple kool-aid water in it. Sitting on a piece of white typing paper. Lit with a flash light that never needs batteries, but has a blue glow to it. I think I got it straight. almost looks like you're pouring onto a table, nice illusion. Excellent picture, but I'm recusing myself from voting on it :) I like the softness at the bottom that I hadn't noticed before. I can also see your reflection. Proudly hosted by Sargasso Networks. Current Server Time: 04/19/2019 04:15:14 PM EDT.